As part of a large extension. 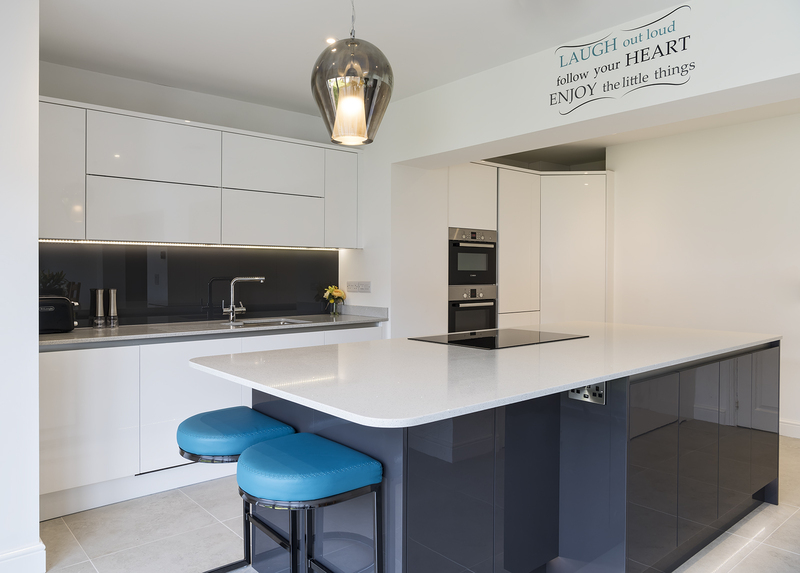 Incorporating a new kitchen diner stunning White Gloss Zola doors with the Gola true handleless system were chosen in this contemporary home for all the family to enjoy. When the clients bought this property on the Marina the kitchen was small and dated and they wanted much more work surface and storage. 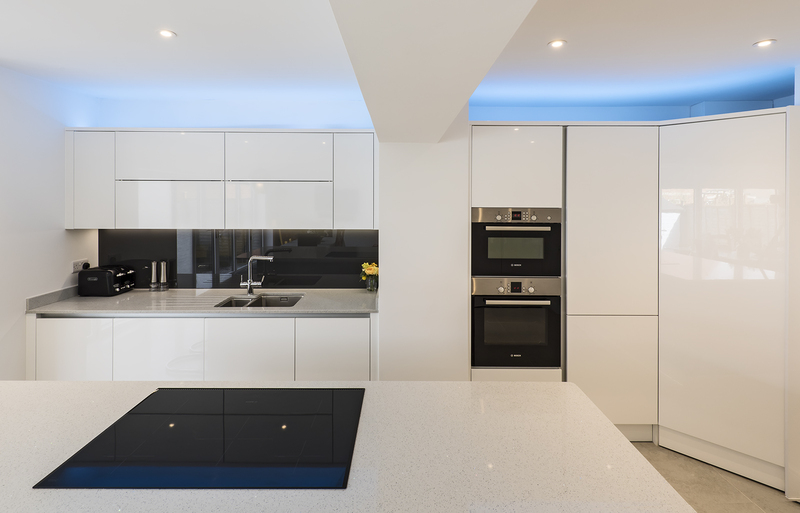 The client wanted a striking new kitchen for a house in Southwell that she was renovating. 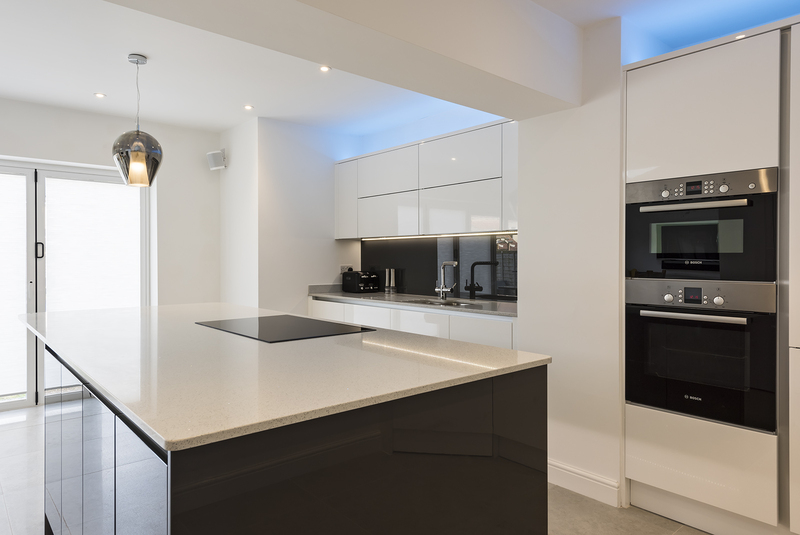 The beautiful modern Zola Cashmere Gloss and Black Mirrorlux quartz were chosen in this Marina apartment.